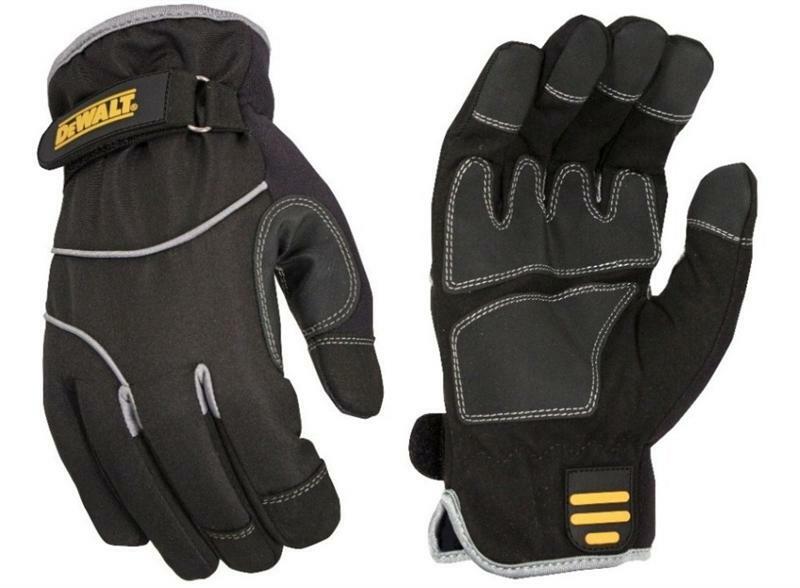 DeWalt DPG748 Gloves Cold Weather are wind and water resistant gloves constructed of multiple layers providing resistance to the most extreme weather conditions while allowing freedom to work with tools or materials. 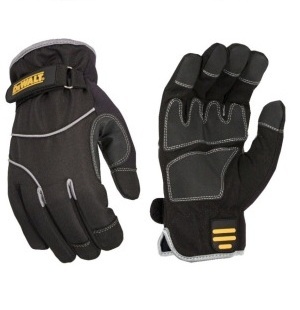 Breathable waterproof liner, nylon back for abrasion resistance. PVC palm overlay for secure grip, 40g Thinsulate thermal liner. Durable rubber pull tab and cinch pull strap for secure fit. Uses: Carpentry, Equipment Operation, Power Tools, etc. Size Large and X-Large.